US Senator Amy Klobuchar claims that the Senate could vote right after the upcoming November election on a bipartisan bill to lift the Cuban trade embargo. HAVANA (Sputnik) — The US Senate could vote right after the upcoming November election on a bipartisan bill to lift the Cuban trade embargo, US Senator Amy Klobuchar told Sputnik on Tuesday. "That is my bill in the Senate. It is bipartisan. There are Democrats and Republicans supporting the bill," Klobuchar stated. "We have 24 co-sponsors, but many more senators out of the 100 say they would vote for it." Klobuchar noted the normalization of relations between the United States and Cuba that begun on the initiative of President Barack Obama will continue, but the lifting of the embargo will likely not take place before the election in November. "Hopefully after, immediately after," she said. Klobuchar explained that the public overwhelmingly supports travelling to and opening up trade with Cuba. "[T]he government needs to catch up with where the people are. Just like in Cuba. The people are ahead of the government," she maintained. But the senator also said Obama’s executive actions easing trade and travel to the island nation will have a limited impact if the congressionally mandated embargo is not lifted. 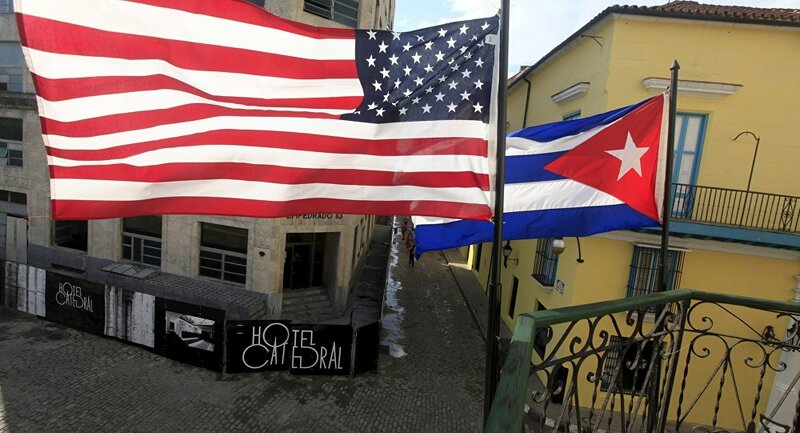 Only the US Congress can lift the embargo imposed on Cuba. "It’s easier to take steps around the travel ban, and it’s easier to allow people to travel as tourists. It’s much harder to do things around the embargo," the senator explained. "Overall we can’t compete until the embargo is lifted." On Tuesday, Obama is finishing a historic three-day trip to Cuba, the first by a US president since 1928.